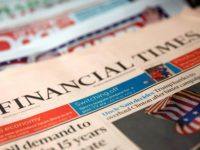 The owners of the Telegraph have emphasised the company is not for sale amid staff uncertainty over future plans for the group. Telegraph Media Group staff were sent a letter, signed by chief executive Murdoch MacLennan, announcing that a "strategic review" was being conducted by professional services firm Deloitte earlier this month. It announced that, during the three or four month review, there would be a recruitment freeze and a postponement of the annual pay review, which usually takes place in March. 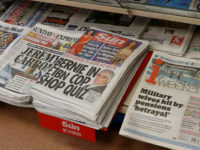 A Telegraph insider said: "There's certainly a feeling among editorial staff that the review will lead to redundancies. The consultants from Deloitte have arrived on the newsroom floor, speaking to key desk and department heads, this week and that's put backs up more than usual." They added: "There's been a sense over the last six months that changes will be afoot – whether a sale of the company by the Barclays or redundancies." One former Telegraph staffer told Press Gazette: "The rumours among staff since Christmas have been that a Qatari investment fund is going to buy it. Those rumours were quite strong. "Over the years the Barclays have clearly been looking for potential buyers. Over the years I can recall groups of Chinese gentleman looking around the place. I am sure it has been on the market for a couple of years, they just haven’t yet found the right price." But a spokesman for the Barclay family said: "There are no plans to sell TMG or any part of it and there never have been." Press Gazette understands the "strategic review" is ongoing and so no decisions have been made on redundancies. 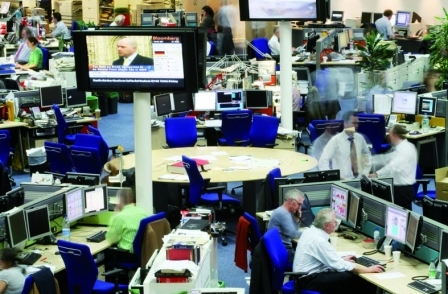 At the end of 2014, Telegraph Media Group employed 662 editorial and production staff. This is the highest figure since the Barclay family bought the group, along with The Spectator, for £665m in 2004. In 2004, TMG recorded having 599 editorial and production staff. The number dropped to 547 in 2007, but has increased since, with the group investing in its digital operation. In 2004, TMG recorded an operating profit of £31.5m on a turnover of £313.4m. Over the Barclays' ownership period, total revenue peaked at £354.9m in 2007 and operating profit at £60.1m in 2010. In 2014, the group recorded an operating profit of £46.4m on a turnover of £318.1m. "I am writing to update you on some important developments. As you know, our industry is undergoing serious and sustained structural change, the pace of which is only accelerating. We have made great progress recently, but it is essential that we best prepare ourselves to thrive in tomorrow's world. "We have therefore conducted a strategic review and put in place a three-year plan to safeguard the business and better configure ourselves. This will allow us to continue to provide world class, innovative journalism, keep our customers at the heart of what we do, and grow exciting new products and services in areas such as Travel, Spark and Events. "We have taken the first steps in this process by recruiting some exceptional senior talent. We are focusing a great deal of energy on innovation, particularly in mobile, and are developing a new video platform and refreshed live app. Our new Adobe website will make our journalism more accessible across desktop, tablet and smartphone. These and other initiatives are extremely important, and more are in the pipeline. "To underpin this, we are undertaking a root-and-branch operational examination of our business to make sure we are set up to deliver our three-year plan and meet future challenges. It is an opportunity to re-evaluate and renew our core business, build a strong culture of excellence and innovation, nurture and reward talent, and identify cost and efficiency savings which can be re-invested back into our target growth areas and our journalism. This review is likely to take three or four months, and we have retained Deloitte, the professional services firm, to help us in some areas. 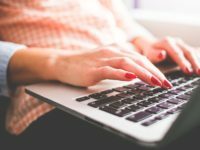 "While the review is ongoing, we have decided to take a number of actions to maintain our flexibility. Decisions on the annual pay review, scheduled for March, will now be postponed until after we have seen the review's findings. Similarly, we are instituting an immediate freeze – unless in exceptional circumstances – on recruitment until the review is complete. This may place extra burdens on some, but I hope you will understand why this short-term action is necessary. "We work in a fantastic business that provides brilliant journalism in an intensely competitive global market, and we should continue to take pride in that. We have achieved much over the past few years. What we need to do now is to protect and build on that progress. I believe the steps I have outlined in this letter will allow us to do that and to meet the challenges ahead. "I will write to you again when we have been able to take stock of the review's findings on how we best deliver our strategic goals. In the meantime, I remain extremely grateful for your support and commitment to our business."